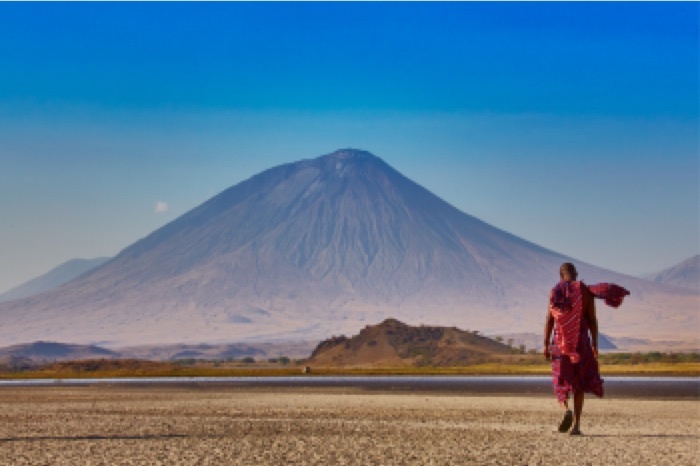 Tanzania is an exotic tapestry of colors, flavors, and sights. From the vast plains of the Serengeti, teeming with Africa’s iconic Big Five, to paradisiacal islands that call for horizontal me-time on sun-soaked beaches, there is so much more to Tanzania than what you’d expect. Jaw-dropping sights abound at every corner when you’re on a safari in Tanzania, but if it’s a killer view you’re after then look no further than the region’s heavenly mountains. Here are our top 5 mountains in Tanzania that provide the most breathtaking views and trekking experiences. Don’t forget your best travel camera. Whether you’re daring enough to climb it or simply just want to take in this snow-capped mountain from the ground, stopping over at Kilimanjaro is an essential part of any Tanzanian itinerary. The views at the top of Kilimanjaro lure thousands of trekkers to the roof of Africa each year and are completely worth the time and effort. At 5896m, the peaks of this equatorial mountain can certainly seem imposing but that doesn’t mean it’s out of reach. Mount Kilimanjaro has six climbing routes that vary in length, scenery, and difficulty. There is no single “best route” so when choosing a path to climb, it all comes down to your previous experience and fitness, the time of the year, and personal preference. The Marangu route is the oldest on the mountain and often referred to by locals as the “Tourist Route” or “Coca-Cola Route” as it is the most popular (and because there is a hut that sells coca-cola along the way). The trail begins among the ripe banana stands of Kilimanjaro’s verdant lower slopes and gradually inclines up through the dense, wet montane rainforest toward alpine meadows and moorlands before reaching the peaks. It’s worth noting that, although this route is dubbed the easiest, it is definitely NOT for the faint of heart and only a third of the climbers on this route reach the summit, so you should definitely train your body for the trek. 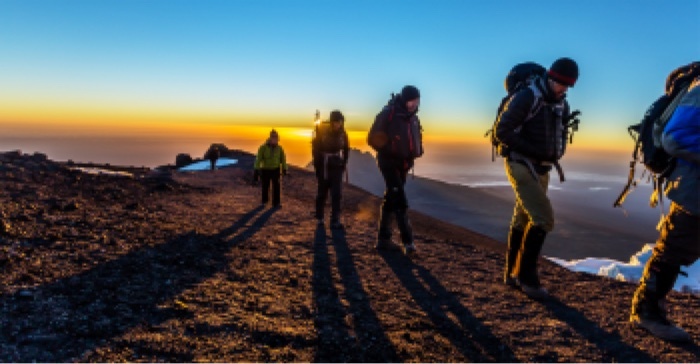 The Machame route is a longer, scenic climb that takes more experienced trekkers across a succession of valleys, ridges, and barren lunar landscapes, before reaching the twin summits of Kibo and Mawanzi. To aid acclimatization, plan on at least a seven-day round trip for a summit attempt, and budget at least USD$1700. Situated in the Arusha National Park, Tanzania’s second-highest peak is often lost in the shadow of Kilimanjaro, but these rugged slopes offer an exhilarating trek like no other. While it is generally considered a “warm-up” to Kilimanjaro, its steepness, terrifying drop-offs on the final ascent, as well as the effects of altitude make it challenging climb. It is the second highest mountain in Tanzania and the fourth highest on the continent, but the rewards are unparalleled. The ascent starts in a savanna, taking intrepid travelers through lush forest on the mountain’s lower slopes, rising up through picturesque glades and finishing with an exhilarating walk along the knife edge of Meru’s (dormant) volcanic crater rim. The treks are geared more toward hikers than climbers and the paths lead travelers over an array of landscapes, brimming with elephants, giraffes, and buffalo! Have you ever thought of yourself as brave enough to climb an active volcano? If so, Ol Doinyo Lengai, aka the “Mountain of God” is one worthy adversary and can be completed in three days. You can climb the volcano all year round, but during wet seasons (March to May, October and December) the roads to Ol Doinyo Lengai make it horrible to travel. 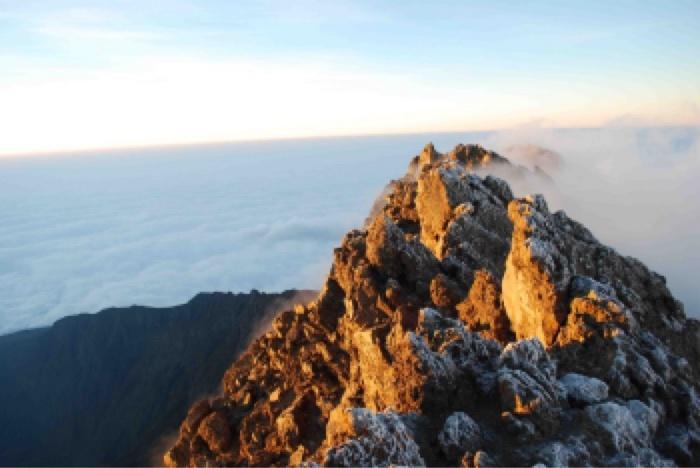 Thanks to its prime location in the eastern Rift Valley, this fiery peak offers amazing views. This impressive mountain, which dominates the whole plain, represents a great beauty due to its peculiar, almost perfect conical shape of about 1,600 m base diameter, and with the summit at 2,768 meters above sea level. Its slopes have been formed by compacted ash for thousands of years, and its deep ravines, cracks and white lava flows are clearly visible from any spot, giving it an inhospitable and majestic appearance at the same time. Because it is an active volcano, it’s very hot there, so make sure you bring enough water. 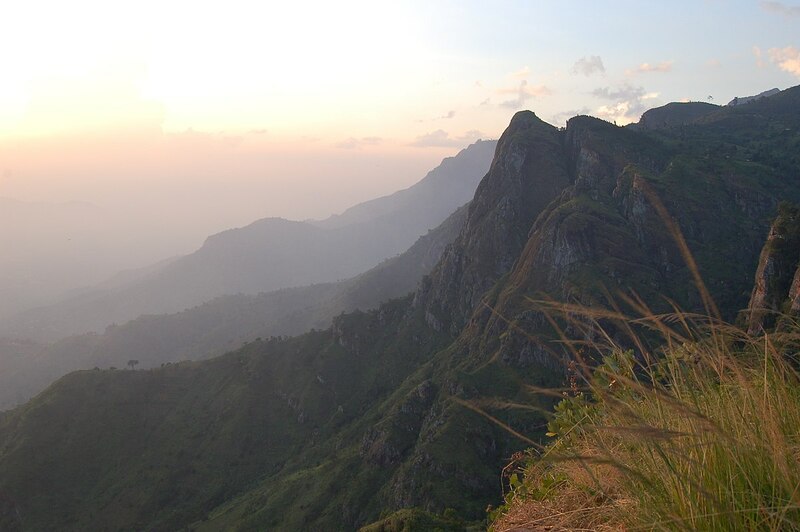 To get a unique, breathtaking view of Tanzania, climb Ol Doinyo Lengai before sunrise. The Usambara mountain range is one of Tanzania’s most underrated attractions, home to a plethora of wildlife, verdant tea plantations and numerous scenic viewpoints. Usambara is a vibrant, diverse location to admire and is often said to be the pinnacle of beauty in Tanzania and a true gem of Africa. Although the mountains are known for their comfortable climate all year round, the best time to visit is a between June and November, the dry season. While not on the main Tanzanian northern tourist circuit, these glorious mountains offer a unique African experience, where hikers can spot exotic wildlife in Magamba forest or take in jaw-dropping natural scenery such as the Mkuzu Waterfall. There are many varieties of hikes in Usambara and if you happen to have more time there are options of longer multiple day treks in the Usambara Mountain region. This is a great way to see the local area and experience the hospitality of Tanzanian people. 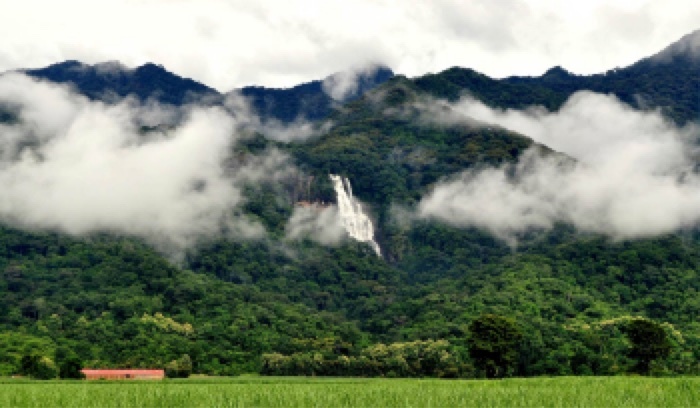 The Udzungwa Mountains National Park is a paradise for both hikers and backpackers. It is an impressive destination covering a massive area of 2000 sq km of wild East African forests. Although Uzdungwa is not usually listed in the catalogs of Tanzanian routes, it can be a great destination for those who love hiking. It provides an excellent network of forest routes, among which is a half-day walk to the Sanje waterfall that plunges 170 meters through a mist to the forest valley below. Because of such a wide range in altitude and habitat types, Udzungwa National Park has one of the highest numbers of species worldwide. Six species of primate are found here, including the Iringa red colobus monkey and the Sanje Crested Mangabey, which are native to the area. The plateau also supports a diverse, large mammal community including elephants, buffaloes, lions and leopards. Udzungwa has the richest forest bird habitat in Tanzania. The dry season takes place from June to October, and that is when it is best to visit. Each mountain is an earthly treasure, and there will be no regrets whichever one you choose. We wish you safe travels as you embark on your next adventure! Don’t be afraid to challenge yourself and reach new heights. Go on an epic mountain safari in Tanzania! It’s an experience you’ll never forget. Marian Morgam is a travel blogger from Minnesota. She has traveled to almost 50 countries and spent two years living and working in Europe as well as volunteering in Tanzania. Currently, she is working on a book about tips for backpacker travelers around the world. This article was originally published in bookallsafaris.com. This entry was posted in alpine, guided hikes, lists, volcanoes by Rick Mc. Bookmark the permalink. I’d love to check these out! Reblogged this on Tanzania Travel Diary.